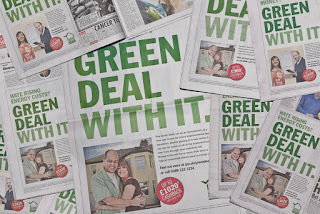 St Luke's Blog: Green Deal with it! 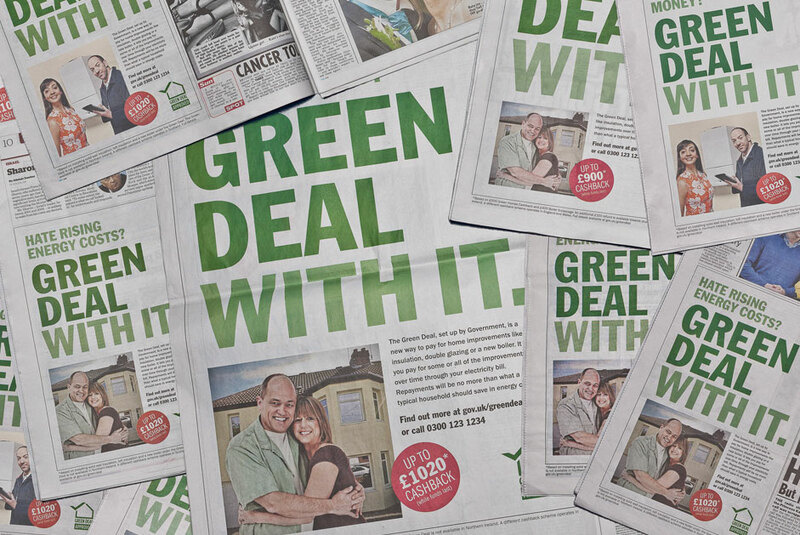 Our latest print campaign for the Department of Energy and Climate Change is for their Green Deal initiative, and has taken over the pages of national and regional press! Our adverts urge homeowners, who already know they can benefit by tackling issues such as rising energy costs, to “Green Deal with it” and make their home more energy efficient; saving themselves money on monthly bills in the long term. The Green Deal offers an affordable way to make practical, energy saving home improvements for homeowners across the whole of the UK, with Welsh language ads placed in Welsh press, and tailored offers for England and Scotland. Gwych*. It's really important for homeowners to be more energy efficient. I'm sure this will catch their eye and hopefully get them to change to more energy saving systems.